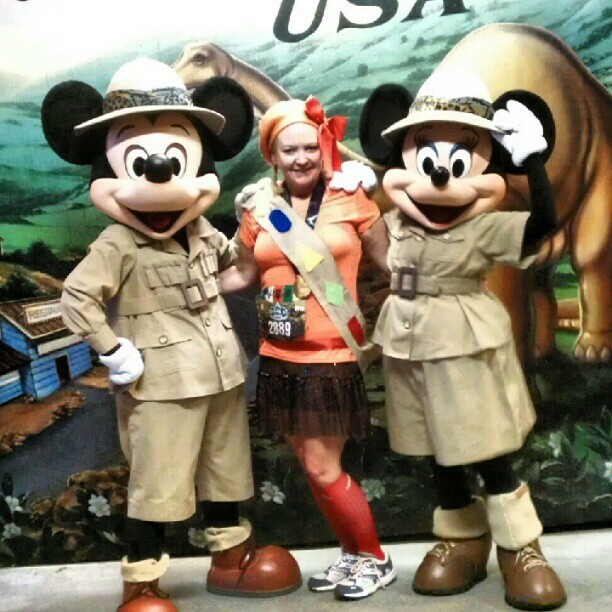 Home » runDisney » Guest Blogger: She Outran the Yeti, Y’all! 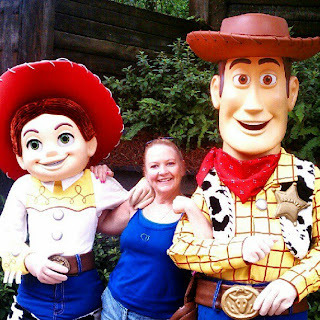 Guest Blogger: She Outran the Yeti, Y’all! Everyone, meet Anne. Anne, meet… everyone! 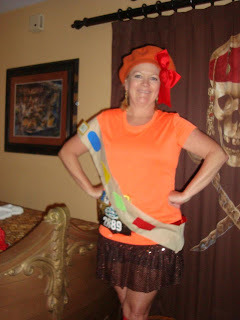 Anne’s a good friend, fellow runner and Disney fan I met online- make sure you follow her @anniem695 This is Anne’s big coming out party- and I’m so excited to be her host. Please give her a warm welcome and make sure to read about the Expedition Everest Challenge! She’s also kicking off her blog and would love to have some friendly faces stop by. 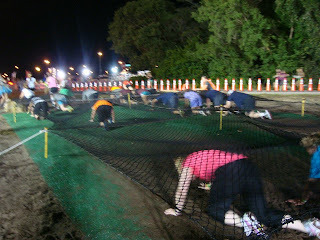 Anne’s blogging at Outrunningthefork.com – man, there’s all kinds of #truth in that blog title, am I right? 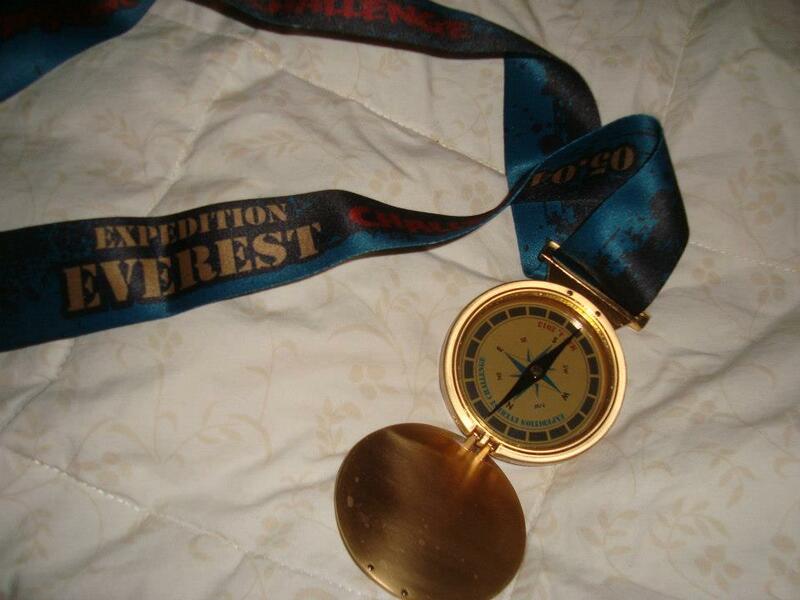 Without further delay, here’s the Expedition Everest Challenge recap from Anne! 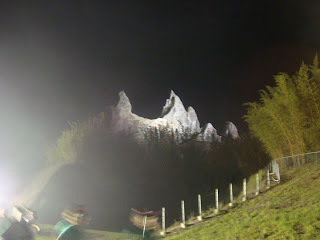 Since the Everest Challenge is a short run I wasn’t expecting the big expo that you usually see at a runDisney event and that’s okay by me! Since I’m doing so many of their events this year, I have kind of committed to just buying a coffee mug and a wine glass so the less expo the less temptation I have! Expedition Everest delivers on the “less expo” for sure!! It’s a packet pickup with a couple vendors. Got my bib, my t-shirt (M, unisex, short-sleeved) and a small goody bag. The next 2 clues were a piece of cake for me to solve – but when I got to clue 4 I was stumped again! I thought there was a pattern to the responses so guessed. Wrong! Eventually, there were about 4 of us standing there trying to guess correctly when someone else came up with the right answer – so we all said it, but I had to ask for an explanation cause I still didn’t get it!! The Final clue ended up being a puzzle we had to solve with all of our clue cards so I plopped myself down and started arranging cards. And arranging them. And. Arranging them. Eventually, the 7 of us who ended up working together had to ask for more help from the CM and FINALLY had an A-Ha moment! Thanks for the recap! This will be our first Disney race, and I love knowing what to expect!